Our church is doing a series on the Ten Commandments and last weekend the topic was “Thou Shall Not Steal.” The pastor started out by sharing a personal story about how he always orders water when going out to eat. Then he dispenses carbonated water into his cup, adds some limes and then a bit of the cherry flavoring. His wife pointed out that he was no longer having free water, but instead he was stealing. How about when you grab an extra handful of those pink sugar free packets and stick them in your purse? Or grab a nice pen at the office? How’s that for puncturing your squeaky clean view of yourself? What do you do when you realize the clerk didn’t ring up that special cake you are having for dinner? Do you mention it when you see the receipt? What happens if you don’t catch it until you get home? Do you go back to the store, or do you figure that it won’t matter in the long run, that you deserve a break once in a awhile. There are so many small ways that we “stick it to the man” and it adds up, costing all of us over time. Someone has to pay for this free stuff we got. Theft in the US is a huge business, with hackers stealing almost $600 billion a year. Wage theft accounts for $60 billion with employees reporting incorrect hours to their employers , while actual burglary only adds up to $350 million a year. What drives someone to steal? Do they feel they are entitled to it or somehow deserve it, wanting something they do not have? But another word for it is greed, just good old fashioned greed that’s been around since Adam and Eve, when she stole that famous apple right off the tree. How can we battle the greed that is inside each of us, fight that urge to take a little bit extra when it really isn’t ours? We can balance that impulse with the act of giving, just small things that will help someone in need. Many people give to their church and figure that is good enough, but what if you did random acts of kindness every day? My son and daughter-in-law take bottles of water in their car, along with a few extra sandwiches to hand out to someone in need. An employee of ours would take the dog food sample bags we had at Playful Pooch and hand them to someone standing on a corner with a dog. Another suggestion our pastor had was to look in your closet at all the old clothes you haven’t used in years and take them to a charity, a shelter for abused women or a church collecting items for those in need. Or find a charity that needs your help in providing a service that they are in need of. Or just give a cash donation which they are always in need of. A day later I read an article that asked when do retirees know when they have enough money to feel comfortable with, making sure they have enough to last throughout the rest of their lives? Does someone live meagerly, not wanting to share their blessings and then up and dies with a huge pile of dough that gets distributed to family that could have used it along the way? Perhaps a better way is to determine an amount each year that you are comfortable with giving away, develop a list of potential charities and organizations that seem to align with your own beliefs and make it an ongoing practice to gift throughout the year, not just when the bell ringers are standing in the cold asking for donations. But most importantly, help shovel your elderly or sick neighbor’s driveway and offer to pick up their groceries. Pay it forward when you see a young parent in line with their kids and buy their groceries, or buy the next persons cup of coffee at Starbucks. 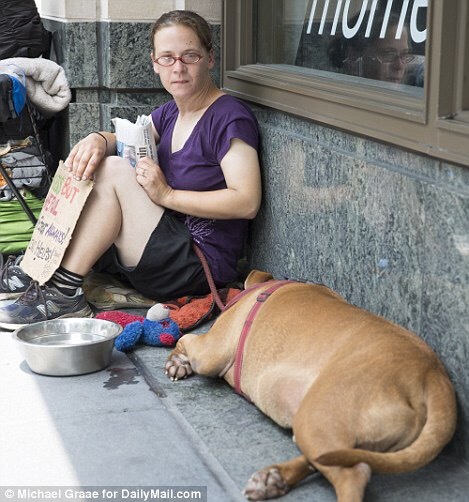 Just hand out a bottle of water, a sandwich and some dog food with a big smile and a greeting to someone standing on a corner, with no questions asked. Don’t judge their situation in life, just help out a fellow human being. Next A Shout Out to All of Us Weird People! These are great gestures for giving back! I really enjoy giving to other people! I remember growing up, my mom would always buy food for this very old homeless women whenever we saw her. That made me see that giving back is very helpful to others who are less fortunate. Any chance I have I try to give and bless someone when I can! Thanks for sharing! Thanks Brittany, I appreciate your comments and hearing about your mom, who had a wonderful impact on your life. I am now following your blog and hope you will follow mine as well. Have a great day!